As you all know, fringes are on their high peak in the fashion world right now, so it would be very cool to add them in your everyday outfits for this spring season. I personally love this stunning trend comeback, hope you are on my side, as I've got really impressive shots taken from the streets of big cities for your one and only inspiration. This spring you can mix and match your pretty fringes with basic apparel. Don't know how to make it in real life, then let me show you some of the best ideas. 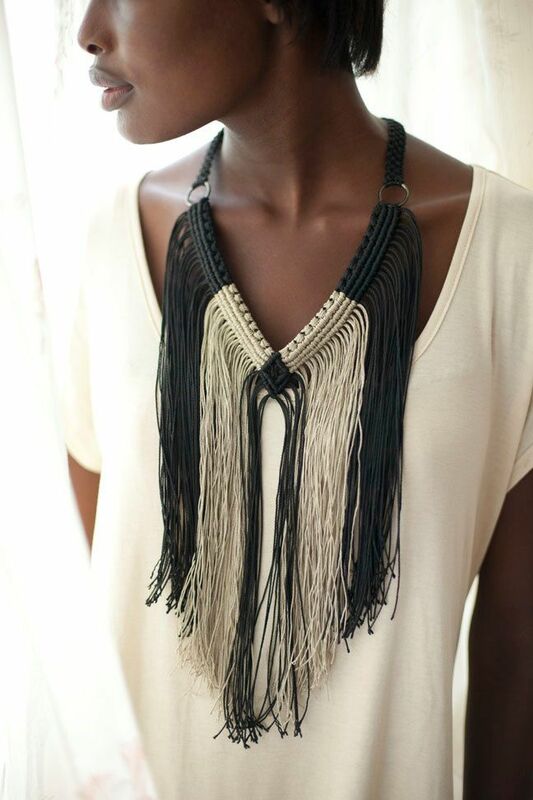 If you are a bit afraid of wearing fringe clothes, then I suggest you to try fringe accessories. Go for awesome purses, scarves, necklaces and shoes. These pieces will for sure add a perfect touch of drama to your look. If you want something country inspired, then why don't you try on something wild west inspired, like a cool fringed suede jacket paired with awesome jeans and cool shoes. 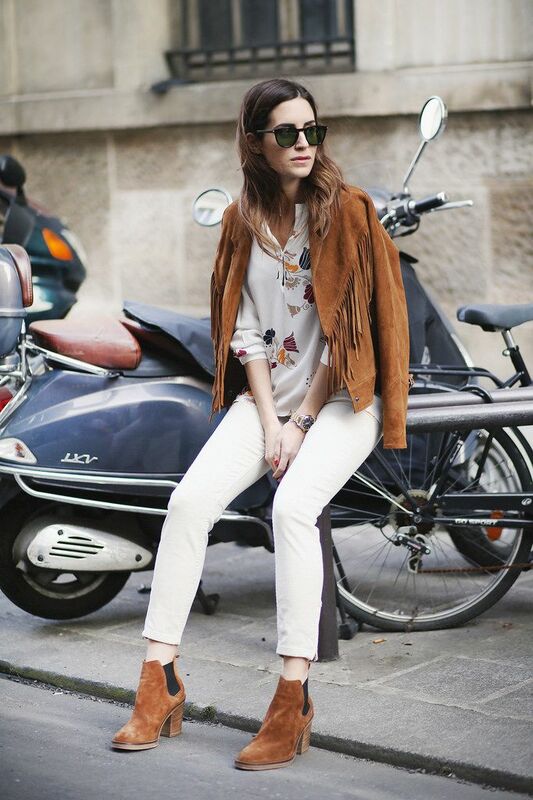 Love the suede booties and those white sneakers. If you want yourself something sweet and charm, then I recommend to try on bohemian inspired looks. These outfits are easy to combine, as well as every look has that special laidback touch. Spice up your look with one of these stunning and relaxed outfits. We see awesome cape worn with high-neck body-con top and skinnies and cool grey casual ankle-length dress worn with white crochet and fringed wrap vest. If you are looking for something sophisticated and edgy, then I suggest you to try on maxi white fringe skirt paired with white top, or go for a light brown suede shirt tucked in awesome belted, high-waisted beige fringed midi-skirt. How about moto and biker inspired looks? Go for a sleek and edgy style by combining your awesome leather fringe jacket with denim cut-offs or cool and vibrant high-waisted black-white printed leggings. Those are so gorgeous and I can see your phpogorathy technique is perfect!!! I am attracted:) And I like to take pictures!How can I contact you?I will be a Senior next year!